The marine industry’s publicly traded companies generally had positive earnings reports for the most recent quarter, with many showing increases in sales and revenue for the period. Brunswick reported first-quarter increases in net sales in its boat and engine segments, but an operating loss in the boat segment. Overall, the company reported net sales of $985.9 million for the quarter that ended April 2, up 17 percent from $844.4 million in the same period last year. Brunswick reported net earnings for the quarter of $27.5 million, or 30 cents a share, compared with a net loss of $13 million, or 15 cents a share, for the quarter last year. For this year’s quarter Brunswick reported operating earnings of $67 million, which included $5.3 million of restructuring, exit and impairment charges. In the first quarter of 2010, the company had operating earnings of $10.1 million, which included $7.4 million of restructuring and impairment charges. “Our first-quarter results reflected higher marine wholesale shipments, compared to the prior year, together with outstanding operating leverage achieved by our operating businesses,” McCoy says in a statement. The boat segment, which is composed of the Brunswick Boat Group and includes 16 boat brands, reported net sales of $283.6 million for the quarter, an increase of 16 percent from $243.6 million a year earlier. The increase in wholesale unit shipments was partially offset by the effect of a higher mix of smaller-boat sales, the company says. McCoy notes that overall industry demand fell by 1 percent in the first quarter, with only the aluminum segment seeing an increase. However, that compares with a 14 percent decline in demand for the same period in 2010, when 139,000 units were sold. McCoy says he expects that Brunswick gained market share during the first quarter. Heading into April and the key spring selling season, however, momentum seemed to be “all over the map,” he says. But with gas and food prices rising, there’s nothing to tell him momentum is improving, McCoy notes, adding that Brunswick is planning for a “flat” year. The marine engine segment, consisting of the Mercury Marine Group, including the marine parts and accessories businesses, reported net sales of $520.5 million in the first quarter, up 17 percent from $445.7 million a year earlier. For the quarter, the segment reported operating earnings of $51.6 million, including restructuring charges of $4.3 million. This compares with operating earnings of $26.5 million in the first quarter of 2010, which included $2.4 million of restructuring charges. Sales were higher across all of the segment’s main operations. The segment’s global sterndrive engine product category had the largest percentage sales growth, according to Brunswick. “The range of 2011 revenue and earnings growth expectations for the company’s results will continue to be governed primarily by marine retail demand, as well as by the success of the company’s efforts to improve market share in all of its business segments,” McCoy says. He says company officials continue to watch for the potential effect of higher crude oil prices. If the marine retail market declines the company might need to reduce its wholesale shipments to keep dealer inventories at desired levels, he says. The company expects to report a profitable second quarter, followed by a net loss in the second half of the year. MarineMax announced an increase in revenue and same-store sales for its second quarter, but reported a net loss for the period. Chairman, president and CEO William McGill Jr. notes that it was the company’s second quarter in a row with growth in new-boat sales. New-unit sales were up more than 10 percent, he says, and margins showed improvement in the quarter. Sales, he says, were helped by brand additions in certain areas of the country and partnerships the company recently forged. Revenue was $115.8 million for the quarter that ended March 31, compared with $110.1 million for the comparable quarter last year. Same-store sales increased about 5 percent, compared with a 5 percent decrease in the comparable quarter last year. The company reported a net loss of $4.5 million, or 20 cents a share, for the 2011 quarter, compared with a net loss of $6.3 million, or 29 cents a share, for the comparable quarter last year. Inventory was $190.2 million on March 31, essentially flat compared with $189.2 million on Dec. 31, 2010. On a year-over-year basis, inventory was up 9 percent from $173.7 million on March 31, largely because of new lines that MarineMax added to its product portfolio and the timing of the receipt of those products before the start of the selling season. “The March quarter was the second consecutive quarter in which we experienced improving business trends in an otherwise challenging industry environment. Our new-boat sales were up for the second consecutive quarter, compared with the comparable prior-year quarters, which is in contrast to the declines that are still being reported across the industry,” McGill says. The company added Bayliner to its product offerings in eight states during the quarter and formed a strategic alliance with Marinas International. MarineMax also added its 57th location by acquiring Treasure Island Marina’s retail sales and brokerage operation in Panama City, Fla. This is the company’s first new location since 2006. 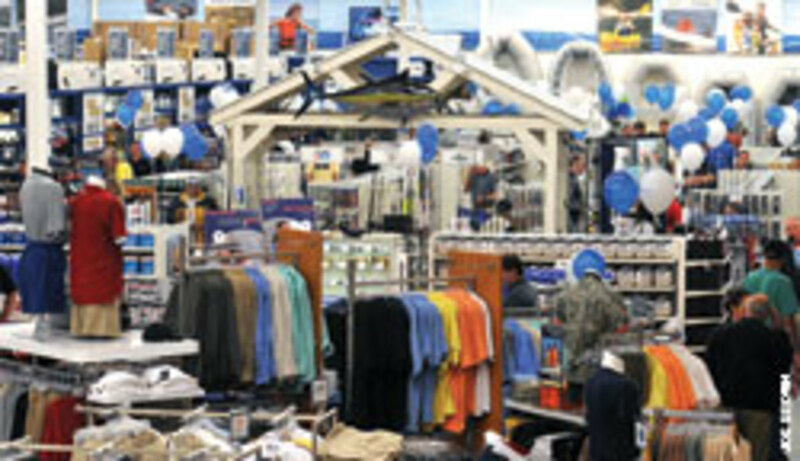 Marine Products Corp. reported a nearly 11 percent increase in net sales and swung to a net profit in the first quarter. For the quarter that ended March 31, Marine Products generated net sales of $27.14 million, a 10.8 percent increase from $24.5 million last year. The increase was attributable to a 4.6 percent rise in the number of boats sold, coupled with a 6.4 percent increase in the average selling price per boat, the company says. Unit sales increased among the company’s sportboat and outboard sportfishing boat product lines. Gross profit for the quarter was $4,460,000, or 16.4 percent of net sales, compared with a gross profit of $3,445,000, or 14.1 percent of net sales, in the prior year. The increase was attributable to higher unit sales, lower retail incentive costs as a percentage of sales and increased efficiencies because of higher production levels, compared with the prior year. Net profit for the quarter was $666,000, or 2 cents a share, compared with a net loss of $80,000 in the prior year. “During the first quarter of 2011, Marine Products Corporation operated at higher production levels than the first quarter of last year in response to stable dealer demand. Our improving results generated an increase in our cash and marketable securities balances, compared to the end of 2010,” Hubbell says. “Attendance at the winter boat show season improved moderately, compared to last year, and we have experienced an increase in the number of smaller boats sold to our dealers, which is traditionally a sign of impending improvement in demand,” he adds. Hubbell notes that the company enters the height of the retail selling season with manageable dealer inventories and backlog. “In spite of a retail selling environment that is not continuing to strengthen as we would like, we note that this season’s retail sales are predominantly sales of current models to customers who recognize quality products and are interested in good service after the sale,” Hubbell adds. West Marine reported an increase in revenue and comparable-store sales for the first quarter of 2011, but a small decrease in gross profit. Net revenue for the 13 weeks that ended April 2 was $113.8 million, compared with net revenue of $109.6 million in the same period last year. The company reported a net loss of $12.3 million, or 55 cents a share, for the quarter, compared with a loss of $9.5 million, or 43 cents a share, a year earlier. Port supply segment revenue from its distribution centers was $6.5 million, a decrease of $200,000, or 3.1 percent, compared with the same period last year. Net revenue in the direct sales segment for the first quarter was $7.2 million, an increase of $700,000, or 10.4 percent, from the same period last year. Comparable-store sales increased 2.7 percent, compared with the same period a year earlier. A driver of this growth was increased sales to wholesale customers through store locations as part of ongoing efforts to better serve this group and to leverage store facilities. Revenue from stores that opened in 2010 and in the first quarter of this year contributed $6.7 million to the increase. However, the effect of stores closed during these periods effectively reduced revenue by $4.9 million. The majority of the closings occurred in connection with the company’s policy of having fewer, larger stores. Gross profit for the first quarter was $24.7 million, a decrease of $400,000 from the quarter last year. As a percentage of net revenue gross profit decreased by 1.2 percent, to 21.7 percent, compared with gross profit of 22.9 percent last year. The decline primarily resulted from lower product margins, driven by a sales mix shift toward lower-margin items, such as electronics, and away from higher-margin maintenance- related items, primarily because of the early start of the season last year, the company says. Total inventory at the end of the first quarter was $247.7 million, a $4.9 million, or 2 percent increase, compared with the first quarter last year, and a 1.6 percent increase on a per-square-footage basis. Inventory turns for the first quarter of 2011 were up slightly, compared with the same period last year. “Our sales results in the first quarter were better than we had planned. Last year we had historically great weather in the northern parts of the country; however, this year returned to a more typical weather pattern, with harsh wintry conditions during the first quarter,” CEO Geoff Eisenberg says in a statement. “Since northern boaters did not launch and use their boats nearly as early as they did last year, sales of maintenance and other related products were not as strong in the first quarter this year as they were last year. • Caterpillar reported a first-quarter 2011 profit per share of $1.84, a quarterly record and a 411 percent improvement from 36 cents in the first quarter of 2010. First-quarter sales and revenue of $12.95 billion were up 57 percent from $8.24 billion in the first quarter of 2010. Profit was a record $1.23 billion in the quarter, an increase of 426 percent from $233 million in the first quarter of 2010. The company’s outlook for 2011 has improved. Sales and revenue are now expected to be in a range of $52 billion to $54 billion, and profits are expected to be in a range of $6.25 to $6.75 a share. • FLIR Systems the parent company of Raymarine, announced a 30 percent increase in revenue for the first quarter. Revenue was $373.5 million for the quarter that ended March 31, compared with first-quarter 2010 revenue of $287.3 million. Operating income in the first quarter was $76.6 million, compared with $84.3 million in the first quarter last year. First-quarter 2011 net income was $51.3 million, or 32 cents a diluted share, compared with $55.9 million, or 35 cents a diluted share, in the first quarter a year earlier. Revenue from the company’s commercial systems division increased 51 percent from the first quarter of 2010, to $194.6 million. Commercial systems’ Raymarine segment contributed $50.5 million of revenue during the quarter. Management currently expects revenue for 2011 to be in the range of $1.7 billion to $1.75 billion and net earnings to be in the range of $1.70 to $1.75 a diluted share. • Cummins reported higher sales and earnings, compared with the first quarter of 2010, on continued strength in key international markets, a recovering North American truck market and productivity improvements. First-quarter sales of $3.9 billion were up 56 percent from $2.5 billion in the same period in 2010. Earnings before interest and taxes were $532 million, or 13.8 percent of sales, double the company’s earnings from the same period a year earlier. Net income for the quarter, which ended March 27, was $343 million, or $1.75 a share, compared with $149 million, or 75 cents a share, in the first quarter of 2010. Engine segment sales of $2.4 billion were up 68 percent, compared with the same quarter a year earlier, which was artificially weak because of a change in emissions standards and the economic downturn. Segment earnings before interest and taxes of $290 million, or 12.1 percent of sales, were a quarterly record. • Twin Disc reported higher profits in its fiscal third quarter. The company says it earned $4.5 million, or 40 cents a share, for the quarter that ended March 25, compared with $1.5 million, or 13 cents a share, in the same quarter a year earlier. Twin Disc, which designs, makes and sells marine and heavy-duty off-highway power transmission equipment, says sales for the quarter rose to $76.5 million, compared with $61 million in the same quarter a year earlier. For the first nine months of the fiscal year Twin Disc reported sales of $213 million, compared with $163.2 million for the first nine months of fiscal 2010. Stable demand continued in the land- and marine-based military, airport rescue and firefighting, pleasure craft and commercial marine markets, the company says. • Coast Distribution System, one of North America’s largest aftermarket suppliers of replacement parts, accessories and supplies for the recreational vehicle, boating and outdoor recreation industries, reported a 5.2 percent increase in net sales for 2010, compared with the previous year. Net income for the year increased to $152,000, or 3 cents a diluted share, from $99,000, or 2 cents a diluted share, in 2009. The increase was primarily attributable to a rise in net sales of $5.4 million, to $108.6 million, in 2010, from $103.2 million in 2009, as well as a reduction in expenses. Despite a 2 percent increase in sales, Coast incurred a net loss of $1.7 million, or 38 cents a diluted share, on net sales of $17.6 million in the fourth quarter of 2010, compared with a net loss of $1.1 million, or 24 cents a diluted share, on net sales of $17.3 million in the same quarter in 2009. • KVH Industries reported a drop in revenue and swung to a net loss for the first quarter after reporting a profit for the quarter a year earlier. Revenue for the quarter that ended March 31 was $24.4 million, down 13 percent from the same period in 2010. The company reported a net loss of $1.5 million, or 10 cents a share. During the same period last year, the company reported net income of $2.1 million, or 14 cents a share, on revenue of $28 million. The company says satellite TV system sales to the leisure marine and recreational vehicle markets were far weaker than expected in the first quarter because of rising fuel prices and a decline in new-boat sales. • Garmin Ltd. reported that first- quarter profits more than doubled as revenue rose broadly, including a sales gain of 24 percent in the company’s marine segment. Garmin reported earnings of $95.5 million, or 49 cents a share, for the quarter that ended March 26, compared with $37.3 million, or 19 cents a share, a year earlier. Revenue for the quarter was $507.8 million, a gain of 18 percent from $431.1 million in the 2010 quarter. The results exceeded analysts’ expectations and they included a foreign currency gain of $12 million that compared with a loss of $38.2 million in the quarter last year.